Monday’s announcement by Pfizer Inc (NYSE: PFE) that it had negotiated the acquisition of NASDAQ listed Medivation for $14 billion created plenty of attention in the health and biotech space both in the US and global markets generally. Interest was evident in Australia, particularly in relation to two stocks: Noxopharm (ASX:NOX) and Race Oncology (ASX:RAC). 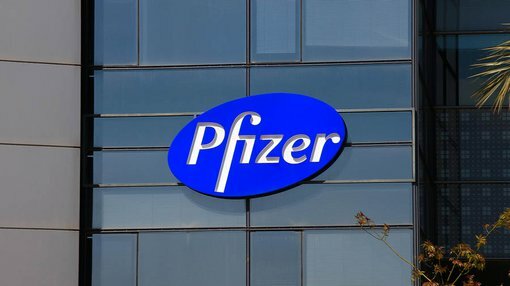 As a backdrop, Medivation has a promising wholly-owned late stage oncology pipeline which Pfizer expects will be extremely complementary in terms of building on the group’s success with products currently in distribution, as well as its substantial pipeline of new drugs which are poised to come to market over the next two years. With regard to potential cancer treatments currently in testing phases the attention has turned to immunotherapies, the prevention or treatment of disease with substances that stimulate the immune response. Leading global pharmaceutical group, AstraZeneca is extremely active in this area and management views it as a growth engine of the future. The following demonstrates the company’s commitment to the oncology industry. This also indicates the near term news flow that is likely to be forthcoming, potentially driving share prices higher. However, the likely beneficiaries aren’t limited to the likes of Pfizer and AstraZeneca, and it is worth noting that these companies have already established numerous agreements with ASX listed healthcare and biotech companies, including some of the ones we examine below. As indicated by share price movements on Tuesday with microcap’s like Race Oncology increasing more than 7% and Noxopharm up more than 6% it could be argued that oncology is a sector worth targeting. Note, share price performances should not be used as a guide to future performance and any investment decision should not be based solely on this information. As the focus has turned to immunology there has been significant success in terms of developing cancer cures, a development that has alluded the biotech industry for decades. With the wide ranging diseases tending to make the news it is easy to miss some of the progress that has been made in this field. Pharmaceutical companies are already generating revenues from product sales and income is likely to soar in the near to medium-term as these products gain traction and reach a broader universe of patients. The following demonstrates AstraZeneca’s success in this area and refers to two of its key drugs, Tagrisso and Lynparza that are used to treat lung cancer and ovarian cancer respectively. This indicates how close we are to seeing emerging biotech companies moved from the R&D stage to distribution with income being derived from royalties and/or direct sales. FinFeed examines a number of emerging ASX listed players in this space, and what may prove to be surprising is the near-term earnings profiles offered by a number of the stocks. While these companies may not be the subject of corporate activity from the likes of Pfizer or AstraZeneca, there is the potential for merger and acquisition activity to start in Australia as growth prospects are realised and the potential benefits of industry consolidation make for win-win situations. Alternatively, it is often the case that smaller players strike lucrative royalty based deals with large pharmaceutical companies which generate income as a percentage of sales. It was only this week that Finfeed highlighted the potential benefits of Noxopharm’s (ASX: NOX) move into radiotherapy in addition to its existing chemotherapy focus. The company is looking to prove through trials that its flagship drug, NOX 66, is safe on its own and in combination with carboplatin. In bringing the company to market earlier this month Managing Director and Chief Executive Graham Kelly (PhD) made it clear that NOX’s key goal was to address the single most important barrier to more successful cancer therapy – drug resistance. Kelly said that succeeding in this aim could be expected to make the current most widely used methods of treating cancer work better and in a way that causes fewer side effects. Similar to combining disease treatments with immune system stimulants, the benefits of a multi-pronged approach whereby products alleviate or dispense with drug resistance are likely to be recognised. Race Oncology (ASX:RAC) only listed on the ASX in July, but it has made significant ground in a short period of time, signing agreements with pharmaceutical groups and earlier this week announcing that it had appointed Gordon Beck as vice president for its European operations. Beck’s resume reads well having held senior executive roles at Roche and Bristol-Myers Squibb over the last 13 years. During this period he managed therapeutic area franchises in oncology, as well as a number of other diseases, suggesting he is well-suited in terms of facilitating market penetration in that region. The company’s initial focus will be on the completion of final development of Bisantrene, a chemotherapy drug which was the subject of more than 40 phase II clinical studies during the 1980s and 1990s. The drugs major advantage over the most widely used chemotherapy drugs is that it has proven significantly lower risks for cardiac side-effects. 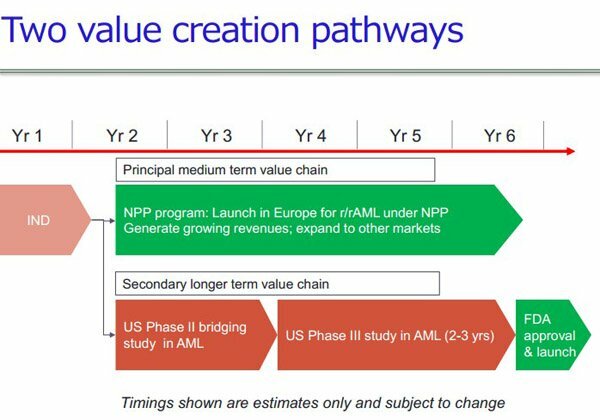 One edge that it does have in terms of investor appeal is that there is a strong likelihood that the company will be able to generate revenues through a Named Patient Program in Europe which is aimed at acute myeloid leukaemia (AML). RAC owns recent patent filings on the drug and has secured Orphan Drug Designation in the US. Management is looking to build on previous trials in order to bring the drug to market in the medium term. Being newly listed and relatively small players in this space Race Oncology and Noxopharm need to be considered as highly speculative stocks and any investment decision should not rest solely on their achievements to date or share price performances. While the same can be said of Volpara Health Technologies (ASX: VHT), examining its performance since listing on the ASX only four months ago reinforces the fact that it is folly to write off the smaller players. Being able to identify a future success story at an early stage is how many speculative investors jag their 10 baggers. One only has to look at how quickly the landscape changed for VHT early this month when management highlighted that its proprietary technology had been acknowledged as an improved method of detecting and treating breast cancer with its shares increasing more than 50% from 31 cents to 50 cents. VHT is a digital health company that provides solutions for the early detection of breast cancer through its Software as a Service (SaaS) VolparaEnterprise clinical management software. The software is a cloud-based solution that helps breast screening clinics deliver high quality, personalised breast screening services which ensure women receive appropriate screening procedures with reduced discomfort. Acknowledgement that breast density is a key factor in accurately detecting breast cancers is a development that is likely to drive quick uptake of the group’s technology. Recent research has emerged which demonstrates that women with dense breasts whose mammograms had been negative may have been identified by applying the Volpara Density Grade metrics. More specifically, it has been acknowledged in some medical journals that using breast density to personalise screening protocols, assessment with software may be preferred over assessment by radiologists. Scott Power from Morgans CIMB sees a steady rollout through to calendar year 2017 with sales accelerating in 2018 resulting in revenues increasing from $6.5 million in fiscal 2018 to $23.7 million in fiscal 2019. He estimates this would deliver a net profit of $7.1 million representing earnings per share of 4.5 cents, implying a PE multiple of approximately 10 relative to Tuesday’s closing price of 48 cents. Power has an add recommendation on the stock with a share price target of 85 cents, implying upside of nearly 80%. However, it should be noted that earnings projections and price targets may not be met and investment decisions should not be made on the basis of these forecasts. While Starpharma Holdings (ASX: SPL) is arguably better known for its portfolio of dendrimer products that have applications in treating sexually transmitted diseases, there now appears to be strong evidence to suggest that its proprietary DEP drug delivery technology can be used to assist in the delivery of other drugs, in particular those used in cancer treatments. On July 28 SPL announced that it had entered into a new collaboration agreement with its existing partner, AstraZeneca. Under this agreement SPL’s DET technology will be applied to a new compound in AstraZeneca’s pipeline. For commercial reasons, the compound in question has not been disclosed, but this appears to be another potential revenue driver for a company that is predicted to increase fiscal 2016 income by nearly 400% over the next two years. 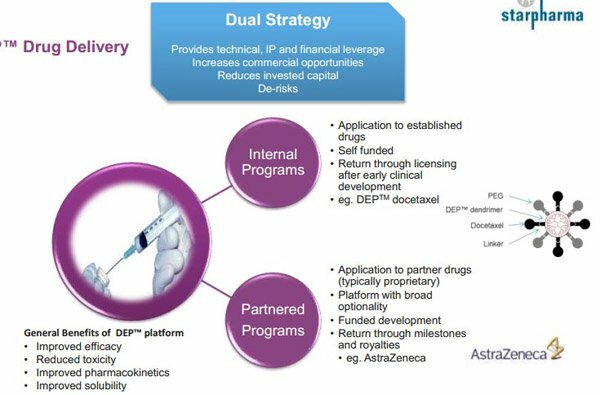 In terms of the company’s exposure to the oncology industry there was an important development in September 2015 whereby AstraZeneca signed a licensing agreement with SPL for the use of its DEP drug delivery platform in the development and commercialisation of an AstraZeneca oncology compound with the potential for follow-on compounds directed at a defined family of targets. Under the agreement SPL is eligible to receive signature and milestone payments on one or more of AstraZeneca’s DEP products if they progress through the development pipeline. At the time the deal was negotiated, SPL Chief Executive, Dr Jackie Fairley said, “It is worth noting that Starpharma retains all rights outside a well-defined and narrow area of application, meaning that its platform remains unencumbered and available for licensing in the vast majority of oncology and other applications for future deals with other partners”. This appears to suggest that SPL’s management has identified oncology as a target area for the development of its technologies, leaving it well-positioned to not only team up with AstraZeneca in relation to its other drugs, but also negotiate similar deals with the likes of Pfizer and Merck, another prominent player in the oncology space. Jain also pointed to SPL’s strong cash position of circa $46 million, which should provide ongoing development funding prior to material revenues being generated in 2017/2018. Viralytics (ASX: VLA) is operating in the dynamic area of oncolytic immunotherapy where it is looking to develop treatments for a range of cancers. 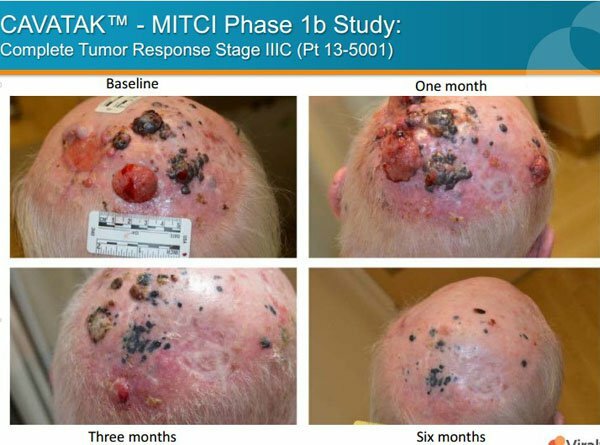 The company’s lead proprietary investigational product, CAVATAK is currently in phase 1 and phase 2 clinical trials for the treatment of melanoma, as well as prostate, bladder and lung cancers. Incorporated in its current research is the investigation of combination studies with checkpoint inhibitors, what could be described as the cutting-edge of cancer research as demonstrated by the key areas of focus for global giants such as AstraZeneca. CAVATAK is a bioselected formulation of the common cold Coxsackievirus Type A21 (CVA 21) that preferentially binds to specific ’receptor’ proteins highly expressed on multiple cancer types. CAVATAK acts to kill both local and metastatic cancer cells through cell lysis and the generation of an immune response against the cancer cells, a two pronged mechanism of action known as oncolytic immunotherapy. Bell Potter analyst, John Hester, expects VLA to generate a maiden profit of $31.5 million from revenues of $44.1 million in fiscal 2017. He is also forecasting profit growth of nearly 50% in fiscal 2018, which would imply earnings per share of 19.3 cents. This represents a PE multiple of 4.8, seemingly conservative for a company that is forecast to deliver a strong maiden profit in the next 12 months, while backing this up with substantial earnings per share growth in the following year. Hester has a buy recommendation on the stock with a valuation of $1.26, implying a premium of 36% to Tuesday’s closing price of 92.5 cents. It could be argued that VLA is more likely than some of its peers to gain traction from the increasing news flow regarding immunotherapy developments. A lack of news flow appears to have weighed on Bionomics (ASX:BNO) share price in the last 12 months as it slumped from a high of 59 cents to Tuesday’s closing price of 26 cents, close to its four-year low of 24 cents. While most of the focus is on the company’s phase II post-traumatic stress disorder (PTSD) trials which will assess the efficacy of its anti-anxiety drug, BNC210, Tanushree Jain from Bell Potter recently noted that the group has a deep pipeline of products targeting oncology. Indeed, the company has a number of irons in the fire and numerous catalysts that could reignite its share price over the next 12 months and beyond. In particular, Jain highlighted that the company is progressing development of lead products such as BNC105, a vascular disrupting cancer drug with the potential to enhance the benefit of immunotherapies and BNC101, a cancer stem cell antibody. While these are at relatively early stages of development, Jain expects that the results of BNC210 trials will be available by the end of calendar year 2017 or early 2018. In terms of postulating how this may impact BNO’s prospects Jain said, “We believe that Bionomics can partner this asset at the back of positive phase II general anxiety disorder (GAD) trial results due next quarter”. Furthermore, having a phase II trial in PTSD with multi-million dollar sales potential nearing completion is likely to strengthen its value proposition and improve its licensing prospects. In framing medium-term earnings projections Jain is assuming that BNC210 is licensed in the second half of fiscal 2017 for a deal worth US$345 million and double-digit royalties on sales. Based on these projections net profit would be an estimated $46.1 million representing earnings per share of 9.5 cents. Should this scenario play out, and the earnings forecasts be achieved BNO is trading on a PE multiple of less than three relative to yesterday’s closing price. 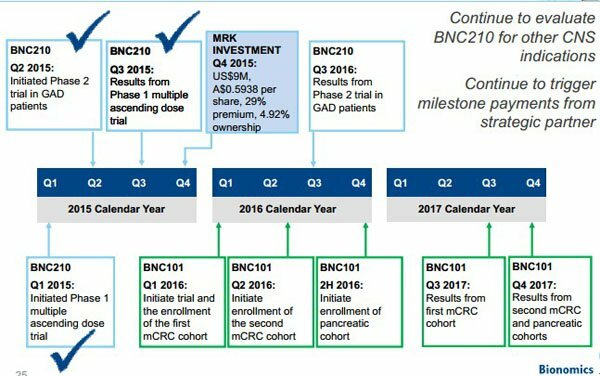 Jain highlighted that any upside from BNC101 isn’t included in his model, but it is worth noting that earnings generated from a potential BNC210 licensing package would help to fund BNO’s progress in trialling and developing BNC101. Jain has a buy recommendation on the stock with an attributed valuation of 81 cents per share. OncoSil Medical (ASX:OSL) is a clinical stage medical device companies seeking to provide a new radiation treatment for cancer subjects. Its lead proprietary product, OncoSil, is able to be implanted by an endoscopically placed catheter in localised solid tumours of subjects with pancreatic cancer. Data released by Globocan estimated that pancreatic cancer was a US$1 billion market as at 2012. As can be seen below, there are a number of near-term milestones that could potentially provide OSL with share price momentum. Treatment with the OncoSil device, known as brachytherapy, is intended to deliver a more concentrated and localised beta radiation compared to external beam radiation. The company has conducted four clinical trials with encouraging results on tolerability, safety and efficacy. This has prompted the company to review the prospects of making a CE Mark application for regulatory approval to commercially sell the OncoSil device in the European Union and other non-US markets. 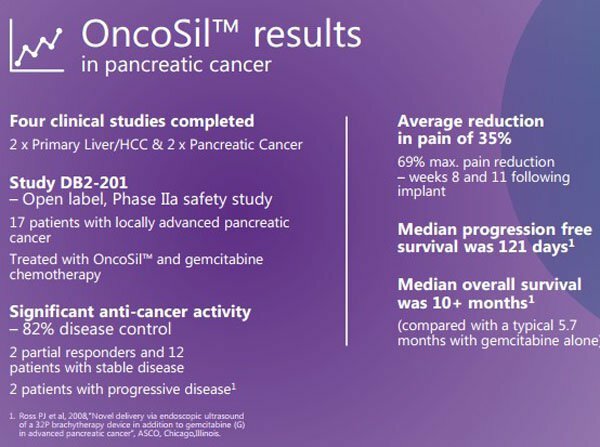 An important development occurred in early August when OSL received Investigational Device Exemption (IDE) approval from the US Food and Drug Administration (FDA) allowing the company to initiate a clinical investigation in relation to using OncoSil to treat subjects with pancreatic cancer. This was a milestone event for the company which resulted in its share price increasing from 14.5 cents on the day prior to the announcement to a high of 18 cents. However, it has retraced slightly since then, and based on John Hester’s (Bell Potter) valuation of 33 cents this may represent a buying opportunity. Commenting on the FDA’s decision, Hester said, “The FDA’s acceptance of the localised progression free survival primary endpoint is a significant boost to the prospects of success in this trial”. In particular, he noted that the randomised study will compare OncoSil combined with chemotherapy to chemotherapy alone. There is strong historical evidence to support the possibility of success for OSL with earlier studies demonstrating that the vast majority of patients (83%) showed a response to the treatment, and this prompted the decision by the FDA to approve the study in what Hester described as a ‘first in class treatment’ for pancreatic cancer. OSL has a particularly strong and experienced leadership team with Chief Executive, Daniel Kelly (ex-Baxter, Roche) and Chairman, Dr Chris Roberts, former Chief Executive of Cochlear shaping the company’s future.